After earning a Fine Arts degree at Indiana University, Meggin Patricia Cabot moved to New York City to pursue a career in freelance illustration. After the death of her father in 1994, she dusted off one of the many manuscripts she had penned in her spare time and began to look for representation. Where Roses Grow Wild, her first historical romance was published under the name Patricia Cabot. Two other romances followed, and then prompted by her mother moving in with one of her former art professors, she wrote both The Princess Diaries and The Meditator, books about, among other things, teenage girls dealing with unsettling family issues. Meg Cabot lives in Key West with her husband. Learn more at Meg Cabot’s website. 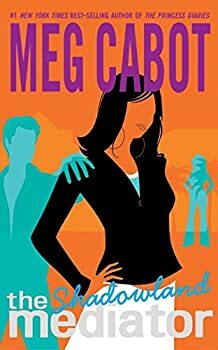 Meg Cabot also writes as Jenny Carroll. Suze is a mediator — she can see the ghosts of people whose souls have not been able to move on. She helps them resolve their earthly issues so they can go wherever they’re supposed to go. She doesn’t know what happens to them after they go — just that it’s her job to facilitate their departure. Because of her weird ability, Suze is not a normal teenager. People find her a little strange and she has trouble making friends and fitting in. Now she’s moving away from New York, where she grew up. Her father died several years ago and her mother has married a man in California. She will have a new family, a new school, and a new life. Her mother, who doesn’t believe in the ghosts, hopes the changes will be beneficial for Suze. 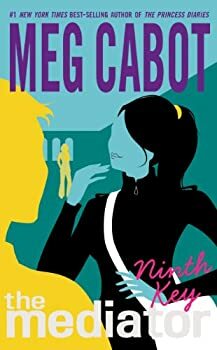 Ninth Key is the second book in Meg Cabot’s MEDIATOR series about Suze, a high school student who can interact with restless ghosts. She helps them settle their affairs on Earth so they can move on to wherever they’re supposed to go (she doesn’t know what happens after they leave Earth). In Shadowland, the first MEDIATOR book, Suze and her mom had just moved from New York to northern California so her mom, a widow, could marry a widower with three sons. None of the family knows about Suze’s ability to see ghosts. 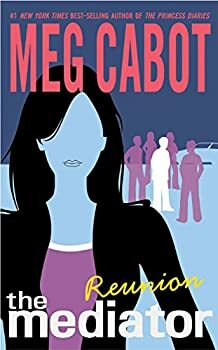 Reunion is the third book in the Mediator series by Meg Cabot/Jenny Carroll, centering around a young woman named Susannah 'Suze' Simon, who is a Mediator: someone who guides unquiet spirits to their eternal rest (whether they like it or not!) Having recently moved from New York to California to live with her mum's new husband, Suze has had to learn to cope with a new Catholic school and putting up with three new stepbrothers as well as the supernatural antics of the ghosts she has to control. 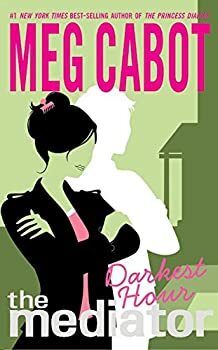 Darkest Hour is the fourth book in Meg Cabot’s MEDIATOR series. It’d be best to read the previous books, Shadowland, Ninth Key, and Reunion before picking up Darkest Hour. While each short book has a stand-alone story, the key characters are the same and there are some overarching plotlines including Suze’s crush on the ghost who lives in her room. 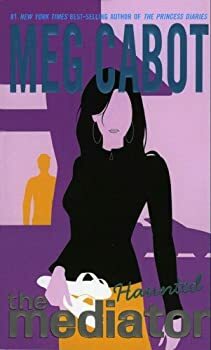 Haunted (2003) is the fifth novel in Meg Cabot’s MEDIATOR series. You’ll want to read the previous books first: Shadowland, Ninth Key, Reunion, and Darkest Hour. Twilight (2006) is the sixth novel in Meg Cabot’s MEDIATOR series. The first five books are Shadowland, Ninth Key, Reunion, Darkest Hour, and Haunted. I’ll assume you’ve read them (though, as I explain below, I think you could have skipped Haunted). Warning: This review will contain spoilers for the previous MEDIATOR books. If you’re interested in this series, please don’t read this review, but take a look at the first book, Shadowland, instead. 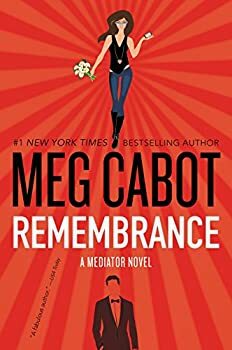 Remembrance (2016), the seventh novel in Meg Cabot’s MEDIATOR series, was published 11 years after fans thought the series was finished with Twilight (though Cabot prepared readers for reentry with the novella Proposal, published just before Remembrance). 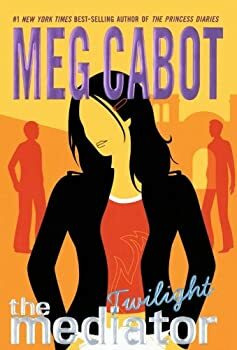 Fans of Meg Cabot’s MEDIATOR series thought it was over back in 2005 with Twilight, but in 2016, Cabot published this novella as book “6.5” before publishing another full novel (Remembrance) that year. This review will have some spoilers for the series, so please don’t read further if you intend to read MEDIATOR. Suze is now in college and Jesse is in med school. Theirs is a long-distance relationship, so Suze is not expecting to see Jesse on Valentine’s Day. Instead, she’s dealing with some young ghosts who want revenge on their killer. So, when Jesse shows up to surprise her, she’s kind of busy. For much of her life, Pierce has been haunted by a mysterious young man. She first met him when she was a little girl, but was told he was a figment of her imagination. When she was fifteen, she had a near-death experience and met him again in a strange landscape. Several times since, when she was threatened, the man appeared and put the threatening party in a world of hurt. Now, Pierce and her mother have moved to Isla Huesos, Florida — Mom’s hometown — for a fresh start. Thus begins Abandon, Meg Cabot’s adaptation of the Hades/Persephone myth and the first in a projected trilogy. 1-800-Where-R-You — (2001-2007) Young adult. 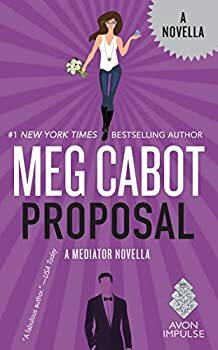 This series has been published under the names Jenny Carroll and Meg Cabot. Publisher: When lightning strikes there can only be trouble — as Jessica Mastriani finds out when she and best friend Ruth get caught in a thunderstorm. Not that Jess has ever really avoided trouble before. Instead of cheerleading there are fistfights with the football team and month-long stints in detention — not that detention doesn’t have its good points — like sitting next to Rob — the cutest senior around! But this is trouble with a capital T — this trouble is serious. Because somehow, on that long walk home in the thunderstorm, Jess acquired a newfound talent. An amazing power that can be used for good… or for evil. Insatiable — (2010-2011) Publisher: Sick of hearing about vampires? So is Meena Harper. But her bosses are making her write about them anyway, even though Meena doesn’t believe in them. Not that Meena isn’t familiar with the supernatural. See, Meena Harper knows how you’re going to die. (Not that you’re going to believe her. No one ever does.) 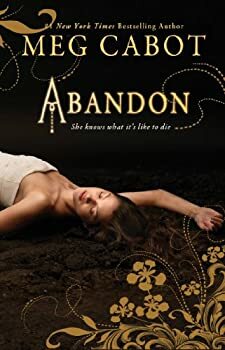 But not even Meena’s precognition can prepare her for what happens when she meets — then makes the mistake of falling in love with — Lucien Antonescu, a modern-day prince with a bit of a dark side. It’s a dark side a lot of people, like an ancient society of vampire hunters, would prefer to see him dead for. The problem is, Lucien’s already dead. Maybe that’s why he’s the first guy Meena’s ever met whom she could see herself having a future with. See, while Meena’s always been able to see everyone else’s future, she’s never been able look into her own. And while Lucien seems like everything Meena has ever dreamed of in a boyfriend, he might turn out to be more like a nightmare. Now might be a good time for Meena to start learning to predict her own future… If she even has one.